The Trabant – or Trabi – used to be basically the car of East Germany (German Democratic Republic GDR). True, there were also other cars on the streets by manufacturers like Volkswagen, Volvo, Skoda – and there was even another East German car manufacturer: Wartburg. But with over 3 Million units sold over the years, the Trabi was by far the more popular and probably also the more famous car. Back in the days of cold war times, buying a Trabant car wasn’t easy at all. You could of course order one, but there were long waiting lists. And with a price tag of more than 10.000 Mark it was far beyond what many people could afford. 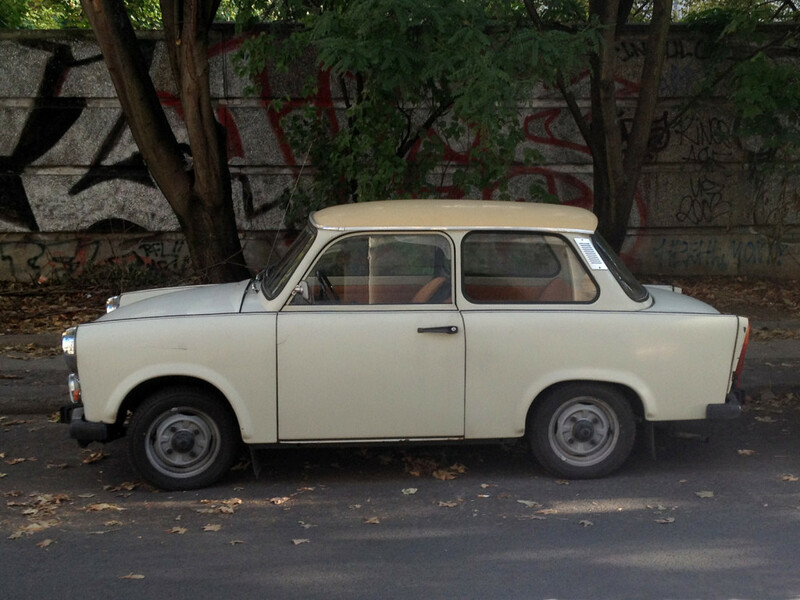 Today you can still see some Trabant cars here and there – mostly in former East German cities – and of course also in Berlin. This is probably due to the rather simple technology and the durable skin. Rumors say that all you needed to repair a Trabi was a screwdriver and a hammer. And since the outer parts, the roof, trunk lid, hood, fenders, and doors were made of Duroplast, most parts were not rust-sensitive. Actually the use of Duroplast lead to another nickname for the car: Zwickauer Rennpappe – which would translate to “Zwickau racing cardboard”. 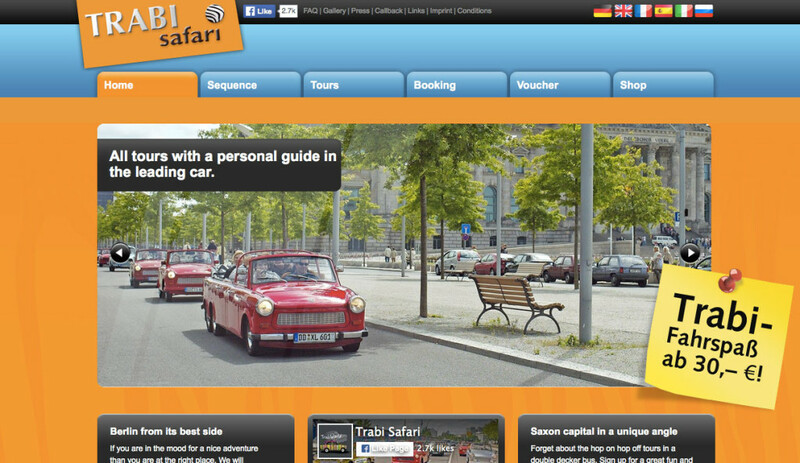 When walking the streets of Berlin you may recognize a Trabi probably first by its iconic sound. If I had to describe the sound of a Trabi, I would say it’s somewhere between a very small plane and a chain saw. Others say it sounds a lot like a lawnmower, probably because it has a motor similar to the ones used in somw lawnmowers. Well – either way – the two stroke motor just sounds a bit different to most of the motors we are used to today. Some people prefer the direct interaction with history – and of course the best way of experiencing a Trabi is by taking a ride with a Trabi. And in Berlin this is very well possible – and you can even choose from a variety of different options. 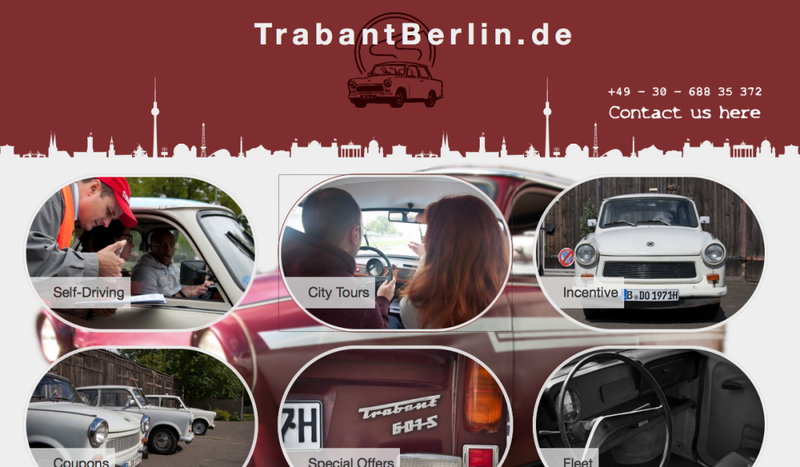 If you don’t like the idea of cruising across the city in a large group, there are also options for cruising in only one Trabi: either you take a tour with a driver, who will then also be your tour guide – or or rent a Trabant for a couple of hours or even a couple of days and discover Berlin all by yourself. 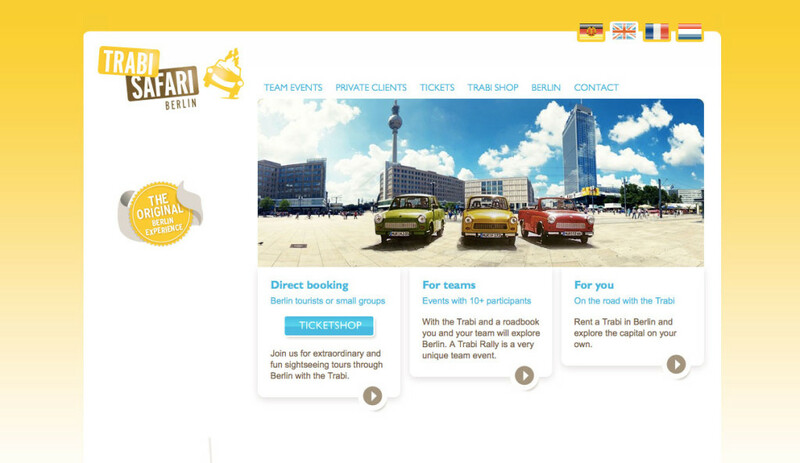 As far as I know both would also be offered by the two Trabi Tour providers metioned about – but alss by another service, that does not offer any group tours.